dull roar: Get ready... get set.... GIFT! Get ready... get set.... GIFT! Some of you might remember the gigantic Indie Designer Gift-A-Long that happened on Ravelry last year. I'm pleased to say... it's back! Click that logo above to go over to the group and get the full details- basically, hundreds of designers have put part of their catalog on sale from the 13th at 8pm EST (that's tonight!!) through the 21st. 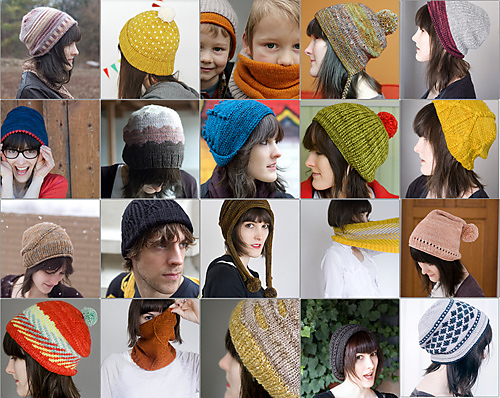 You get 25% off participating patterns when you use the code "giftalong2014". Then there's a big K/CAL that runs through the end of the year, with tons of games, prizes, and oh-so-much chatting. The idea, of course, is to help you plow through your holiday knitting... but it's totally okay if the gifts are for you ;-) It was a ton of fun last year and hopefully it'll be even better this time around! Interview with GAL Designer, Emmy Petersson!